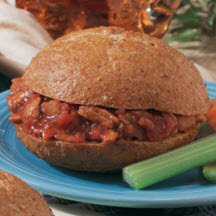 CooksRecipes has quality, kitchen-tested recipes for diabetic-friendly pork dishes that you can count on for accuracy and deliciousness. 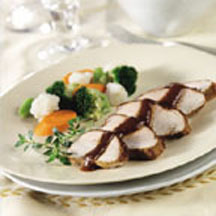 Prepared in under an hour, this pork tenderloin is baked with a medley of vegetables in a sweet and spicy glaze. Slow oven cooked pork in a homemade barbecue sauce combining tomatoes, garlic, onion, vinegar, mustard and chili powder with a hint of sweetness. 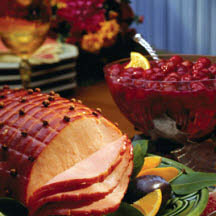 Turn a baked ham into a festive meal with this colorful and easy to make cherry sauce.